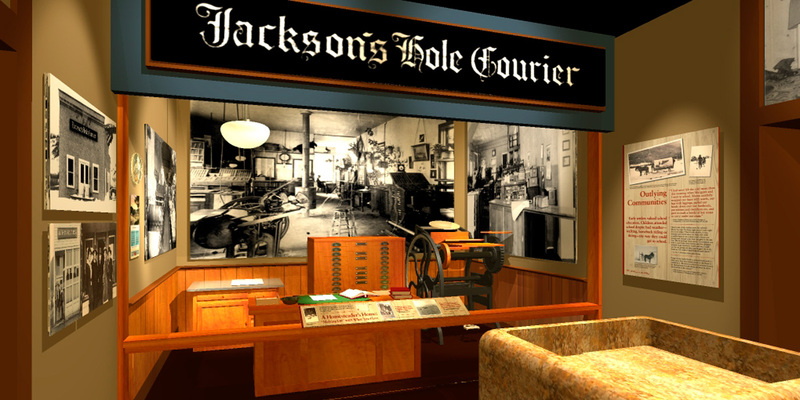 Jackson Hole Historical Society & Museum | André & Associates Interpretation and Design Ltd. Interpretive Planning, Community Consultation, Conceptual Design and Schematic Design for the entire space. 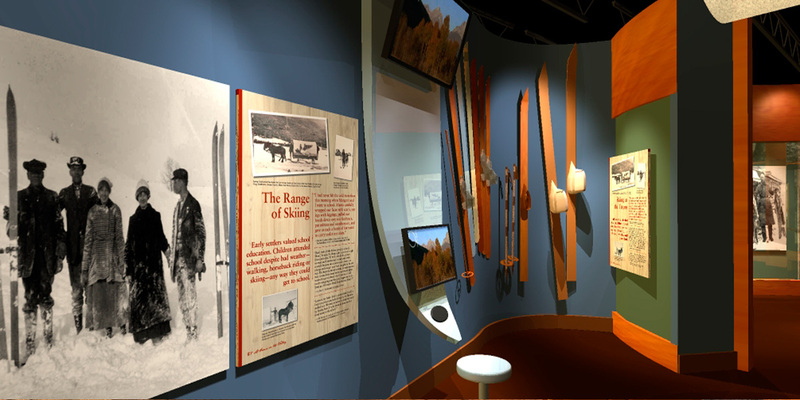 Design Development (for Phase 1 and Phase 2 exhibit elements), Fundraising Material (digital and 3D model and promotional video) developed for Phase 1 and 2. "Bianca Message and her colleagues at André and Associates were a wonderful team and the museum staff enjoyed working with them. 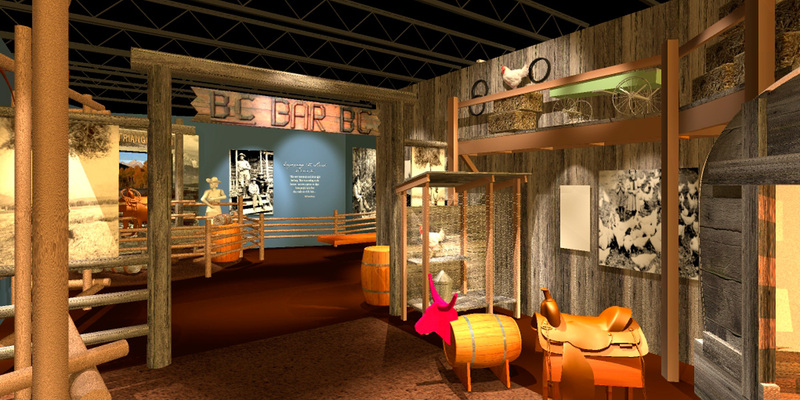 …André and Associates immersed themselves in the content of the museum and brainstormed collaboratively with the museum staff to develop ideas and elements for the exhibitions. Their ideas for interpretation and design were very, very creative and they were particularly cooperative and flexible. 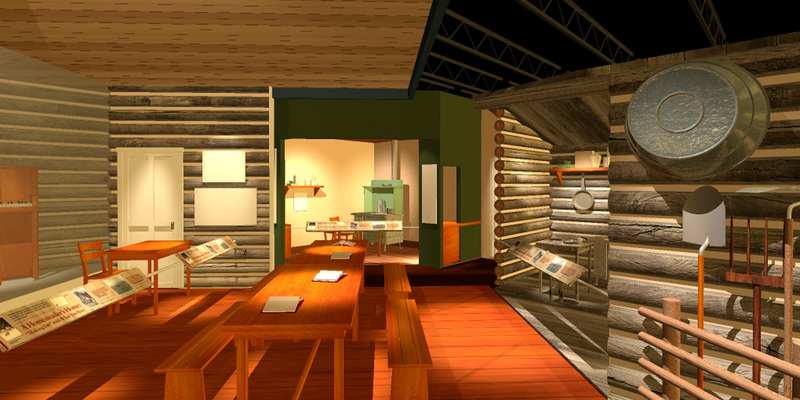 Their work was on time and on budget—vital criteria for the museum." We developed the concept for of Donor Interactives to show sponsorship opportunities and we created a physical three-dimensional model and computer renderings to ‘sell’ the project. We also produced a promotional film that included a computer rendered animation of the exhibit walkthrough. 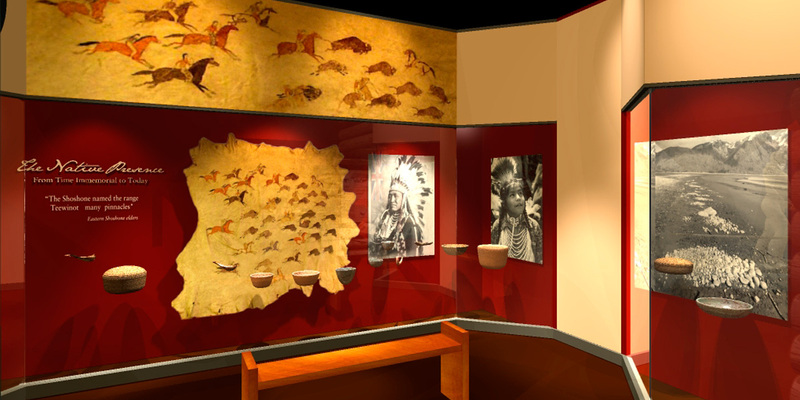 Additional works included developing a Native American component for the entire space. 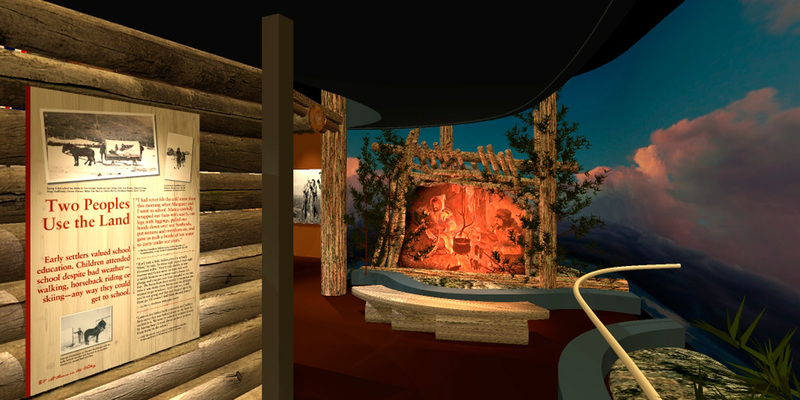 Working with the Shonone Bannock communities ensured the exhibit content developed was from the Native American perspective. 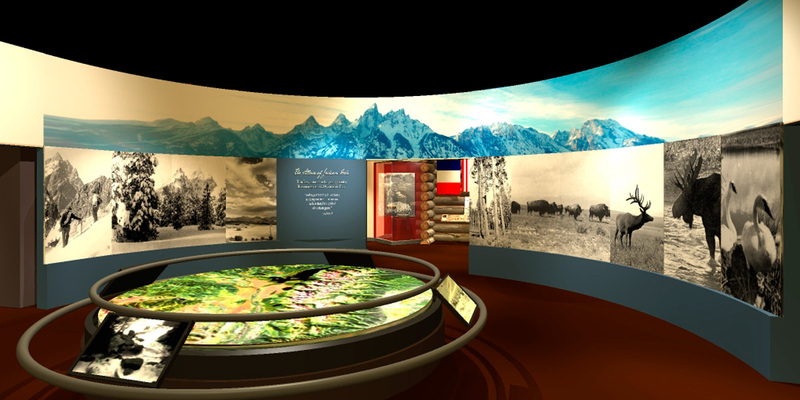 The entire exhibit focused on the chronological history of Jackson Hole, from its geological beginnings to its threats of over-development.